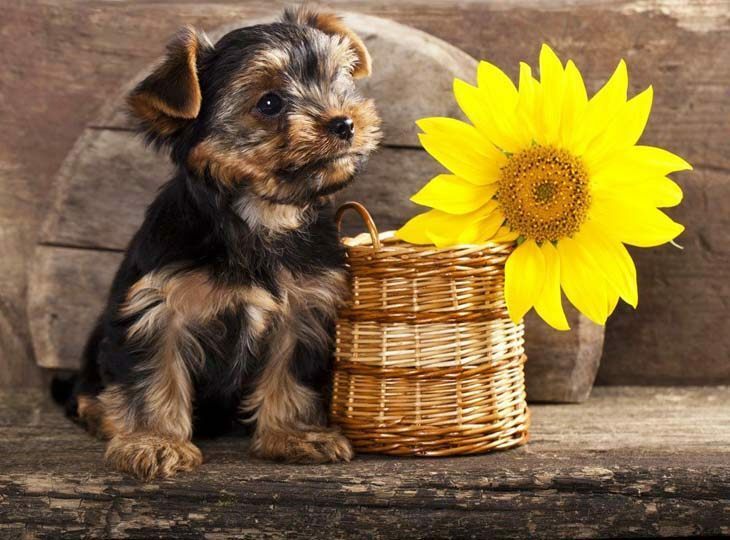 Wondering what are some cute Yorkshire Terrier names? You have come across some ideas, but how do you choose a good one for such a popular breed? When naming a dog everyone will have their preferences. So you're own unique and cute pick will be made based on your own as well as your pals preferences and what you determine to be cute in the first place. These tiny pups are very bold with a big attitude. These cuddly miniature dogs have soft, shining long fur and are quite lovable and playful. Yorkshire Terriers are like wildflowers - beautiful, yet hard to uproot, which makes these dogs very strong for such a tiny creature. These little pups stay true to their English heritage as the breed carries themselves almost like royalty. 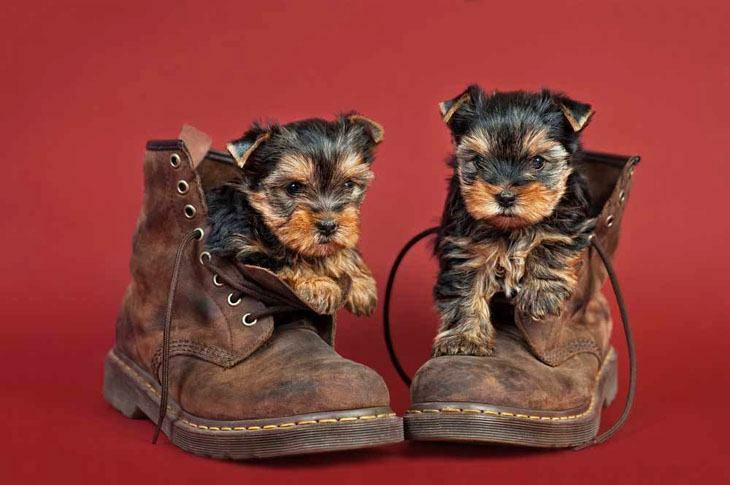 Yorkshire Terriers are mainly indoor dogs and will willingly share their homes and families with other breeds. 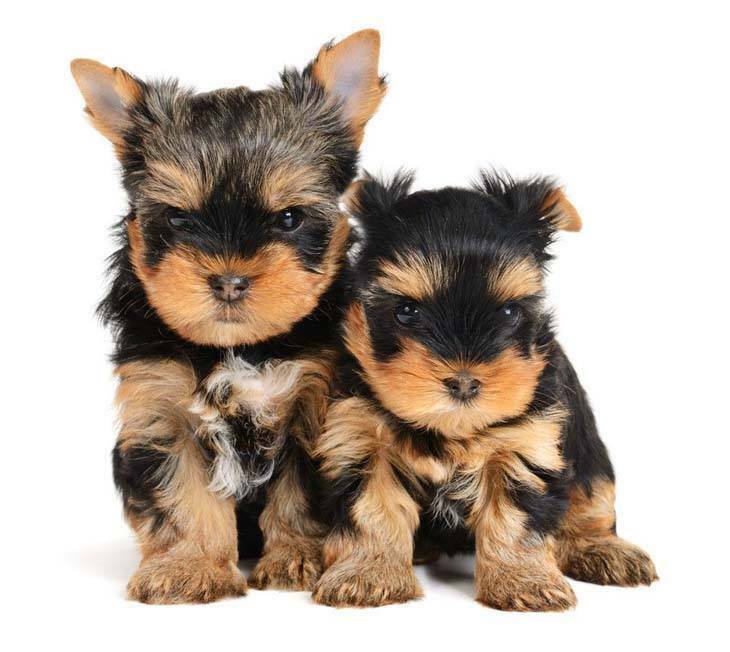 So have a look at our list of cute Yorkshire Terrier names and see what kind of unique title can you give your four legged gem. Alfie: Alfie is a cool name and perfect for your little cutie! This pooch displays great strength and attitude and is a fearless watchdog that can help protect your home in many little ways. Bentley: The name of the British top-end luxury car makers this would suit a Yorkshire Terrier puppy well. Not only will it reflect the English heritage of this pooch, but it will also reflect the luxury of these dogs. An expensive choice for a high maintenance dog. Benza: This identifier means number one, and would work perfectly for the Yorkshire Terrier that is your one and only. This little fellow loves to engage in as sociable plays, which means that he likes to play in groups. A good choice for a loving and active little pooch. Éclair: Éclair is a tasty title for a very sweet Yorkshire Terrier. When this pooch is at the park he will feel like he is one of a kind when you call him. A cute Yorkshire Terrier name for your homeboy. Guinness: This is perfect for a dark coated Yorkshire Terrier that reminds you of the dark beer from England. When you pour this beer into a glass, the tasty beverage will show a beautiful black and tan color. A beautiful idea for a very handsome dog with a stout head on its shoulders. Hamlet: After the Shakespeare play this identifier is a great pick for your Yorkshire Terrier. This pooch is bold and amiable, and often make quick decisions, and grasp what you are saying very quickly. Hanna Lei: Is it just me or is Hanna Lei one of the coolest identifier ever? This delicate diva requires the royal treatment at all times. An exclusive title for the Yorkshire Terrier that enjoys traveling around in handbags or under your arms. Lindor: A type of chocolate produced by Lindt, Lindor is a tasty choice for the Yorkshire Terrier you just can’t resist. 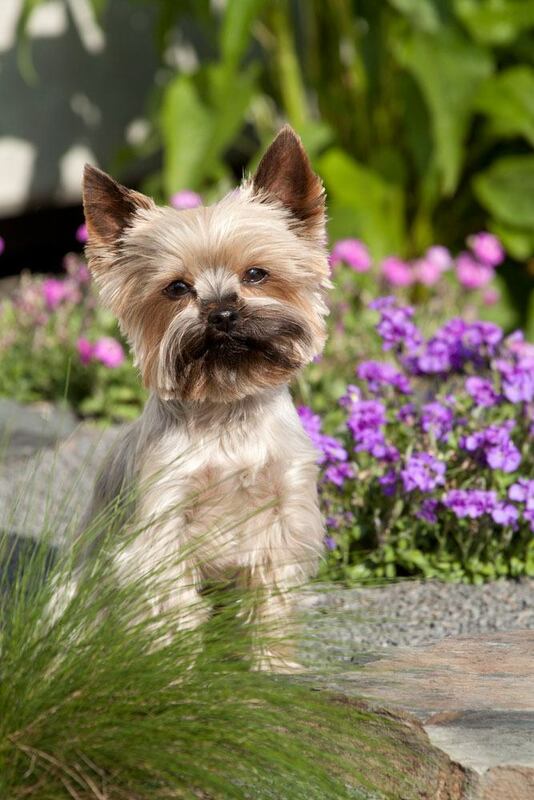 This Yorkie can come in any color and loves to roll up into a ball or just stretch out. A cool Yorkshire Terrier name for a very flavorful and unique dog. Paris: The name of a brand of perfume, a spoiled heiress and one of the most romantic cities on the planet, Paris is a great identifier for a high end dog. This little pup needs a lot of attention and does not like to be left without company – even if she is just going to the kitchen. Rosenda: This is Spanish title means “The excellent Lady” and would make a great moniker for the Yorkie that is just that. Rosenda is an excellent companion for the elderly who have the time to focus all of their energy on her. A perfect pick for a prim and proper girl dog. Swiss Miss: Choose this identifier for the Yorkshire Terrier with the unique brown and black coat that reminds you of the Swiss Miss hot chocolate. A cute title for the pup that goes with its looks! Talia: Choose this cool Yorkshire Terrier name for the beautiful pooch girl who can make anyone smile and brighten up their days. This pooch can be a little fussy, but she is also a warrior in her own right. A cool pick for the pooch that you would be lost without if this girl was never in your life.